You could say this Spicy Ahi Poke Recipe is our favorite recipe on our food blog right now. It's inspired from our recent trip to Hawaii and when recreating it, Matt hit the flavors spot on. There is no cooking required, so it's quick to make on any night of the week and you can use whatever add-ins you have at home. 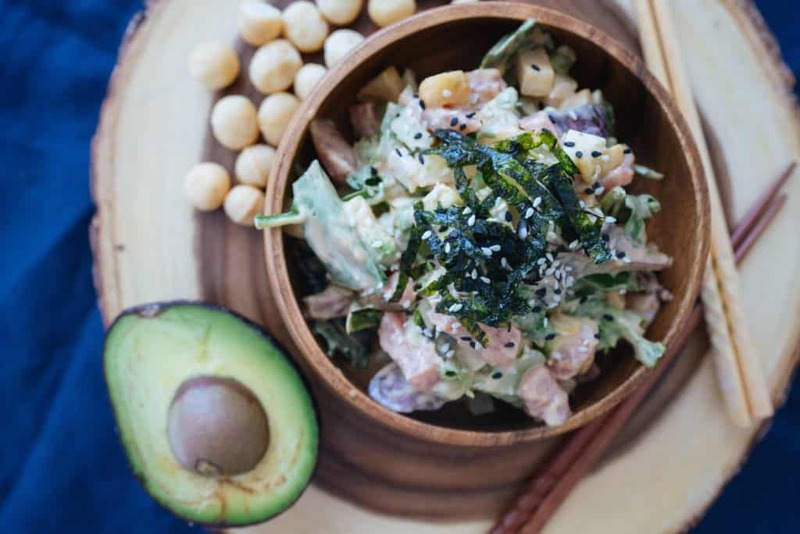 The recipe below is Matt's exact favorite re-make, while I would swap out the macadamia nuts for pine nuts and maybe use salmon instead of tuna! Check it out below and make it for the whole family. Hawaiian Poke Is Our Newest Obsession! 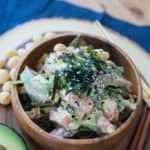 Whether or not you've ever been to Hawaii or have had good poke in your life, take our word for it, this recipe will change your world. The flavors and mouth feels alone will have you obsessed, but it's also really easy to make, so you can easily eat it everyday! What's Your Favorite Poke Sauce? I had no idea how many variations there were on poke based on the different sauces alone. We tried at least five different kinds, but found our love in the spicy mayo based sauce and Shoyu, which is soy sauce with seaweed in it! We also love the avocado sauce, but when you can make spicy sauce and add avocado chunks you get the best of both worlds! Some great uses for the sauce recipe below would be in our egg roll in a bowl recipe, korean meatballs and keto sushi! My favorite parts about this recipe is how easy it is to make and how customize-able it can be depending on what flavors you like! You can add more crunch, more fat or even up the spice each time you make it. No two poke bowls are alike and the same thing goes for this spicy ahi poke recipe we've made for you! 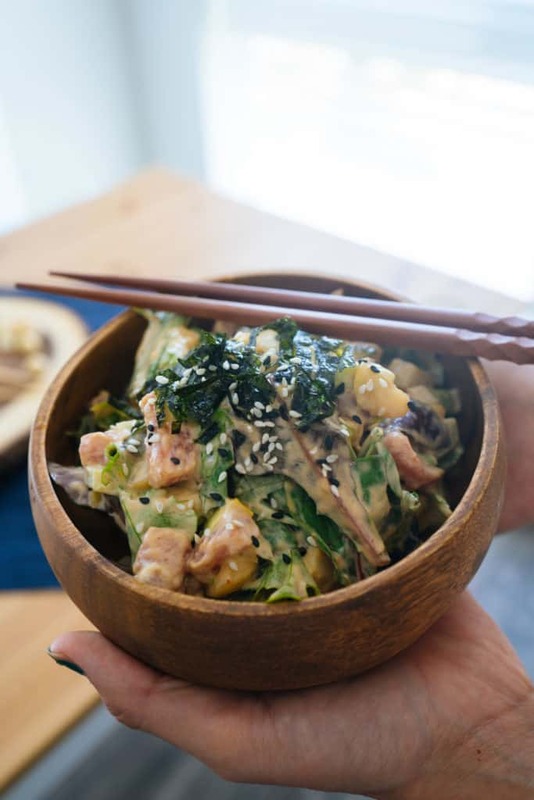 Recipe can be quickly added to MyFitnessPal - Search "KetoConnect - Spicy Ahi Tuna Poke"
Break up the spring mix leaves into smaller pieces and add to a medium mixing bowl. Add in the tuna, cucumber, avocado, onion and nuts. Set aside. Make the sauce: Combine all the sauce ingredients in a small bowl. Pour the spicy sauce over the salad mixture and combine using tongs. Add the large chunks of tofu to the bottom of the poke serving bowl and pour the dressed salad mixture over the tofu. Optionally, chop up the seaweed pieces and top the bowl, along with sesame seeds. Enjoy!